This year Open Education Week falls 10 March through 14 March 2014. What is Open Education Week, I hear someone ask? Open Education Week raises awareness of the open education movement and its impact on teaching and learning worldwide. Open education encompasses notions of open educational resources or OER, open courses such as MOOCs, and other open practices. Because the Institute of Learning Innovation is working on the EU-facilitated eMundus project, we are doing a special themed webinar on Friday, 14 March, at 11am until 12noon GMT. Our webinar is one of a series showcasing aspects of the eMundus project, which is (among other things) mapping out institutional partnerships in open education, such as universities which accept MOOC credits for transferring in, and the OER University. Our Friday webinar will look at the pedagogies of MOOCs. Check out the poster below for more cool webinars you can join in during Open Education Week. With special thanks to Athabasca University for facilitating our whole series of webinars! The open education movement has often focused on explaining the benefits of open educational resources (OER) and other open education initiatives to people beyond the reach of formal education — those who cannot afford it, who live too far away from schools, who cannot access formal education for any number of reasons. 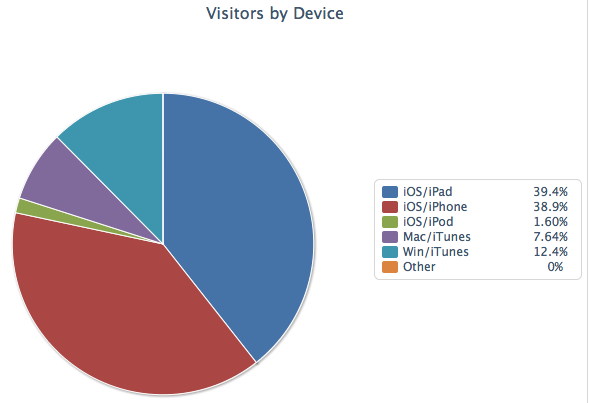 But in addition, current students benefit from the use of OER. This article by CK-12 Foundation gives good examples of how American schools are making OER work for students, largely through saving money on textbooks. The Manufacturing Pasts project (video above) was funded by JISC to digitise and mash up into learning materials artefacts from Leicester’s industrial past. I had the privilege of working on the project. Now, a year on since the project ended, I can see that the work we did is benefiting current students in ways we did not expect. 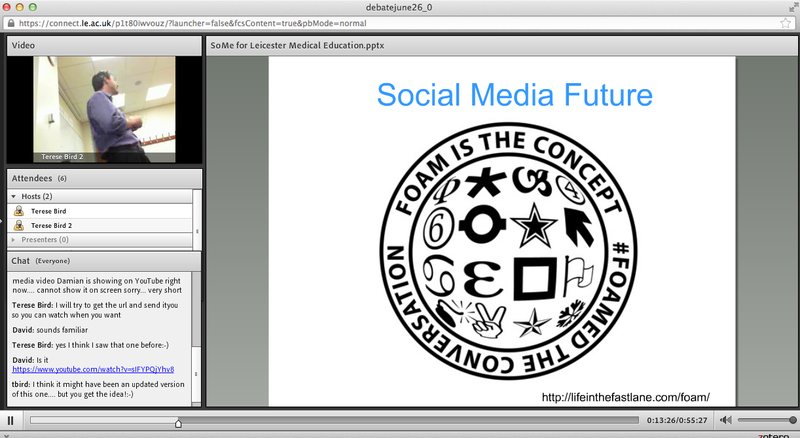 For example, I was just helping to teach a digital media session in University of Leicester Museum Studies department. The students are putting together museum displays with sound and video installations augmenting the photos and physical items. When we directed them to MyLeicestershire.org.uk and the Manufacturing Pasts collection, and told them these were all CC-licensed, there was an audible sigh of relief that they did not have to hunt for copyright permissions as they must for other items. Another way OER and open practice benefits currently-enrolled students is in the way some universities are launching MOOCs designed to help their own students. University of Northampton, for example, has launched and is continuing develop a MOOC teaching academic skills (referencing, how to handle feedback, writing) — with a version for undergrads and a version for postgrads. These MOOCs require only about 2 hours weekly and are offered to students who have been accepted to the university, as well as any student already having begun to study. Academics who were already teaching these things to smaller groups of students have put together the online materials. 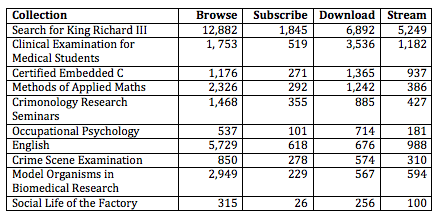 It’s a bit early to conclude yet how well these MOOCs will help the student. I will check back with Northampton in a few weeks as I continue to gather stories of how open educational practices can and are helping students currently enrolled at the participating institutions. Please comment if you have such a story. As a 1990’s primary teacher-trainee in Rwanda I learned English extensively through open courses via the BBC and VOA after my secondary education graduation. During my secondary education, English language was not yet introduced at primary level. English was neither among the national exams we took before graduation. So there was no pressure for secondary schools to head-hunt English language teachers who were desperately scarce at the time. We could only take English for one semester, 2 hour a week, and then have that semester’s grade re-transcribed for another semester. One year after my graduation, three important changes occurred in Rwandan education: English was introduced in the national exams for teacher-trainees (1), the student’s grade in the national exams was established as the benchmark for higher education student’s loan (2) and the then National Examination Centre established an open assessment system widely known in Rwanda as Candidats Libres or Private Candidates system. This system enabled informal students to take same national exams as formal students and those who passed were certified and accredited. These good practices made access to higher education more accessible to students from low income families. Those who wanted to undertake higher education worked hard on their national exams preparation with a vision to get a better grade for getting student’s loan because the provision had become fair and transparent. My family did not possess a radio during my secondary education. Buying a radio was a top priority on the list of needs that I had to address with my first salary as a teacher. My first radio connected me to the BBC world service and the VOA and their open English language courses. I was aware that I had learned this language poorly during my secondary education. So, I engaged in those open radio courses for my English language improvement. I had to make sure I am free during the radio open course broadcasts and I adopted this self-discipline. Two years later, I took advantage of the National Examination Centre’s open assessment system. I took nine exams in 2000 to get the results that fit in the new system in order to be eligible for student’s loan. English which I had mainly learned from the BBC and VOA was the only exam in which I had a perfect score (I hereby grant the permission to verify my records from Department of Examination and Accreditation; the former National Examination Centre, exclusively for the purpose of open educational practices improvement). So, my informal learning was more beneficial than extensive learning in formal education because my radio learning was based on passion, the goal and interest conceived by myself. 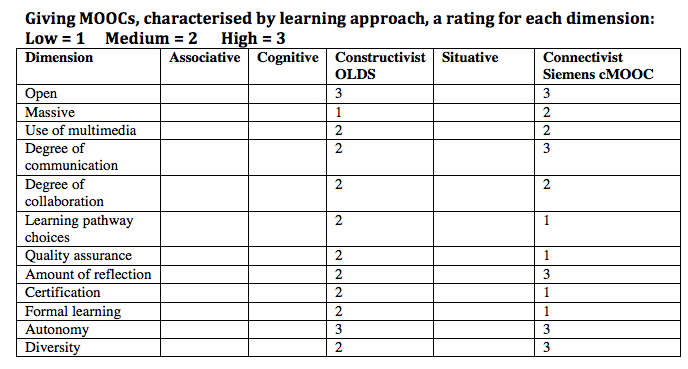 In contrast, compliance dominated in the formal education courses. Although English was the only course I scored a full grade, my grade point average was among the best result from teacher-trainees nationally, which enabled me to get student’s loan two years later. My accomplishment in informal English language learning was confirmed by the National University of Rwanda (NUR) in 2002. When I joined this university, we took an English language test. Many students from the literary section who had three time of English language learning in their secondary education than we had, and who had learned English without interruption failed the test. But I passed the test, with a distinction anyway. That is why I started my courses right away without taking the one year long language preparatory course which was required by students who could not prove that their language abilities were high enough to study in English. My story is shared by many other people in Rwanda. The Department of Examination and Accreditation (the former National Examination Centre) and NUR should probably conduct research on the impact of their open assessment system on Rwandan students. Our informal learning was assessed, certified and accredited because the National Examination Centre and the NUR had open assessment systems. However, these systems have not been fully explored and systemized for being used at a large scale in Rwanda. They were also fragmented in that the open assessment system was not accompanied with open curriculum and open educational materials. At the time I took national exams as a private candidate, access to the national curriculum was a prerogative for secondary school teachers. Students who took national exams as private candidate often borrowed notes from friends who studied at various courses to compare what was covered in various course subjects but they did not have access to the curriculum to check what should have been covered. Open assessment could have made more difference if it were coupled with open curriculum and open learning resources that covered the curriculum. Such a link between open curriculum, open educational resources, open assessment, open certification and open accreditation are currently being explored and developed elsewhere for opening up tertiary education. The Recognition of Prior Learning (RPL) also referred to as Prior Learning Recognition (PLR) that is being explored by the Open Educational Resources university is a good example. A similar system is also considered as a potential business models for Massive Open Online Courses. One of the most frequent questions people ask me about challenges to adoption of MOOCs and OER in Rwanda is about English as the most dominant language in these courses and resources. This same question was raised in O’Neil’s article: “Will Rwandan students adapt to Western-style instruction in English?”. My answer is that language is not a barrier in the Rwandan context. However, the way we use language often becomes a barrier to education. In this post, I will argue that creating language learning opportunities constitute better practices than using a language as a selective filter to decide who is given access to education and who is not. I will probably start my argument with a statement of the fact most of us would agree on. We all know what we have learned and can do what we have the skills to do because we have been given opportunity to learn how to do it. I am able to write a blog entry you can read and understand because I had access to opportunity to learn how to write in English. 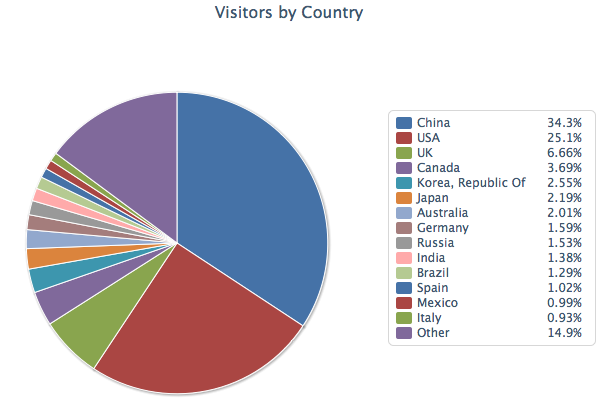 I have also been luck to learn how to post a blog entry on the web (and trust me, I sometimes get challenged because I am still a new bee in this). More specific to language learning, native speakers of English have learned this language so quickly because they were naturally immersed. We, native speakers of Kinyarwanda or other languages, have learned our respective native languages at a similar fast speed, thanks to the exposure offered by our societies and cultures. Also, it is worth noting that English is the second foreign language most of the students depicted in the articles authored by O’Neil and Bartholet have learned. Prior to learning English, most of them had learned French as well. Now, imagine if Kinyarwanda or Swahili were the language of learning in the USA, UK and other countries where English is a native language. I deliberately avoided using French or Spanish as examples, because these two languages would be culturally closer to English than how English is culturally closer to speakers of Kinyarwanda or other non-western languages. Now, step back from your native language and reflect on your foreign language learning experience, if you have learned a foreign language. I want to clarify the distinction between second language learning experience and foreign language learning experience as commonly agreed on in linguistic and second/foreign language learning literature. In second language learning, the learner learns a non-native language, based in a society or community where that language is used as a native learning. In this way, s/he is immersed and more exposed to first hand opportunity to use the language. In the foreign language learning experience, the learner does not live in the setting where that language is used for the mainstream communication. Obviously, opportunities to use that language is significantly reduced since it might be even difficult to find someone who speaks the target language. Even though the label of foreign language learning experience would be used on both Western and non-western students, it should be noted that western students’ learning of Kinyarwanda, Swahili or another foreign language would be easier than the learning of English for non western students. The ubiquity of Internet access would make it easier to record the target language learning materials and made them available as YouTube or any other medium. However, most students in Rwanda do not have to such media. O’Neil portrays very well the selection process the Rwandan students had to pass through for being admitted to take Kepler and Generation Rwanda’s MOOCs. The digital divide that makes MOOC learning highly competitive in Rwanda is rather a more compelling barrier than language. 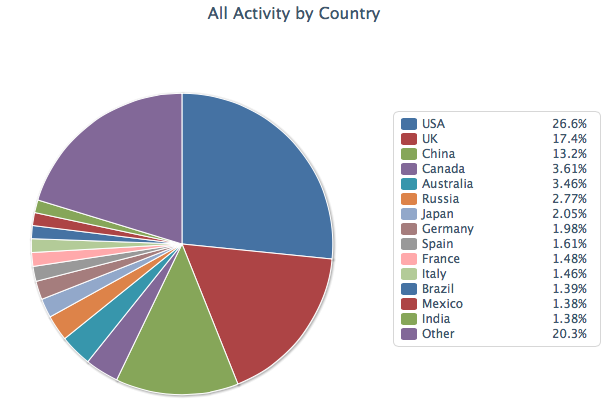 Most MOOCs are in English: A barrier or opportunity? Rwanda shifted from French to English as a language used in education around 2010. At the time the shift was initiated, around 90 percent of school used French for instruction. It should also be noted that although French and, later on, English have been used as the language of learning, most Rwandans, probably more than 90 percent only speak Kinyarwanda. Rwandan educators, students, leaders, employees and other are still transitioning into English as a dominant foreign language. Looking at their accomplishment from my perspective as a Rwandan, a French and English as Foreign Languages Learner and an English as a Foreign Language Teacher, and considering the circumstances in which their learning occurs, I find their effort and achievement extra-ordinary. Of course people who evaluate Rwandan learners from the western perspective do not know how to appreciate their accomplishment. Rather than evaluating Rwandan students from the Western/native English speakers standpoint, we should depart from where those learners came from. Taking this initial departure will enable us to notice and realise how incredible their accomplishment is and encourage them to carry on. The most compelling barrier Rwandans have in their English language learning is access to learning resources. The availability of MOOCs and OER in English certainly constitutes an enormous opportunity to Rwandan learners although some pundits see this as a challenge, especially the ones who view this from a Western bias. As earlier mentioned, approximately 90 percent or more of Rwandans do not speak English and French which have been used as languages of education. Does it mean that Rwandans have chosen to submit to the Western imperialism raised in one of the comments on O’Neil’s article? Imagine if everyone only spoke their native language and no foreigner could speak their languages. Imagine what we, the human race, have accomplished, because we can communicate with one another. Obviously, we need one or many shared languages as communication tools. With our human learning capacity, we cannot learn all the languages spoken all over the world. That is why few languages, especially the ones that are more widely used, have attracted, and will continue to attract foreign learners. There is no need to feel inferior that our languages spoken at small scales are not learned or used as languages of education. Likewise, there is no need to feel superior because our big languages are learned by foreigners. We all bring a rich diversity of perspectives which enrich the languages we share and educational experience globally. What we all share, Westerners and non-westerners, is openness to that diversity and tolerance to different perspectives. It is that diversity that makes us stronger as human species. Unfortunately, we sometime use languages as dividing tools rather than as unifiers. It is unfortunate that English language is used to select those who are given access to education and those who are not. English language tests such as TOEFL and IELTS should be used beyond the selection purposes. The results from those tests should reveal places where more language learning opportunities need to be created rather than simply decide who should have the right to education and who should not. Coming back to my earlier argument that we all learn because we are give opportunities, we should create more learning opportunities rather than selecting only those who have been given learning opportunity and give them more while we do not care about those who have been excluded from opportunities to learn. By creating English or other foreign language learning opportunities and resources, we empower more learners who have been denied such opportunities. This provides them with a tool to learn western perspectives. At the same time, those empowered students create opportunities for their western counterparts to learn non-western perspectives. It is this multicultural and multi-directional learning experience that is taking place in many MOOCs. Coursera platform, probably other MOOC platforms as well, also empower students who are non native English users by offering them the opportunity to control this language. Students can adjust the speech rate to make it slower or faster as they wish. They can also add subtitles in English. This student’s control of the course language is lacking in campus based courses in both Rwandan and Western institutions. My next entry will focus on contextualization also raised in O’Neil’s article and subsequent comments. I am happy to be back to blogosphere, after months of silence, and excited to see that MOOCs are now taking off in Rwanda. I have been following closely the MOOC initiative by Generation Rwanda and its Kepler initiative (Leber 2013, Bartholet 2013 and O’Neil 2013). These articles received many comment, but I would like to add my contribution as a Rwandan, and a MOOC researcher. For those who have not yet come across my profile, I am researching Massive Open Online Courses (MOOCs) and Open Educational Resources (OER) for Widening Participation in Rwandan Higher Education. My research interest is not accidental. It was inspired by learning experience, face-to-face, on radio and online. A bit of my educational background is covered in my earlier blog entry. My professional profile can be found here. This blog post is the first of several entries written as response to issues raised by O’Neil’s article and the comments it triggered. It addresses accreditation, sustainability and quality of conventional higher education in Rwanda. To start with the important questions raised in the article: 1. Will it earn the trust of employers and of others in higher education? My response to this question is that I learned English via radios and this did not prevent my learning to be recognized. When I took the secondary education national exams for being eligible to the students’ loan, English in which I had mainly studied on the radio was the exam in which I had the best results. The National University of Rwanda confirmed my achievement in English language learning by deciding that I did not have to spend a year learning this language as did most of students who joined the university the same academic year. These Rwandan institutions’ practices of recognizing my prior learning was accurately conducted. Otherwise, I would not have won the awards which enabled me to continue my postgraduate/graduate education in the USA and UK. I share part of my personal life in attempt to challenge espoused theories of how people learn tend to be promoted globally. However, most of those theories are based on results of studies conducted in settings that are not representative of the entire world realities. Accounts of personal experience often raise skepticism. I would be happy to release some of my records to anyone who would like to verify them and help us understand better the diversity of successful learning. Competence-based assessment practices and qualification, like the ones Generation Rwanda is planning to adopt, which had been indeed a tradition in some Rwandan institutions, need to be invigorated to reward accomplishment of enthusiastic informal learners and encourage the self-guided learning culture. The question about whether Rwandan students will be able to adjust to the Western language rate will be addressed in my second blog entry dedicated to MOOCs, language issues and barriers to education. As for the question “Is the Kepler model sustainable over the long term?”, it raises one of the challenges OER and MOOC researchers and practitioners are trying to address. The quest for a sustainable education based on OER and MOOCs is underway. I am highly optimistic that Kepler and Generation Rwanda’s practices will contribute enormously in this endeavor. Another point that deserves discussion relates to the note that quality of higher education in Rwanda falls below western standard. Of course it does. However, it would be over simplistic and misleading to stop here. We should understand this phenomenon by analysing what cause it and working on them. My paper “Evaluation of Massive Open Online Courses (MOOCs) From a Learner’s Perspective” that will be presented at the 12th European Conference on eLearning later this month discussed two of the barriers to quality education in Rwanda: The lack of access to learning resources and the shortage of teachers. Among the most marked disparities a Rwandan student notices when s/he get the chance to experience western education is the over-abundance of access to learning resources. Classroom interaction becomes more productive, when students had access to learning materials, learned them and come to class to exchange what they think of the materials they have already learned. This is what even enabled Western professors to flip classes. With the lack of access Rwandan students face, it is unrealistic to expect the western interaction from them. In addition to this, Rwandan students have always struggled to learn in foreign language many of western student have the privilege to possess as a native language. This is the topic of my second blog entry which responds to O’Neil’s article and comments that followed. Aware of circumstance in which Rwandan students learn, I personally commend their accomplishment and encourage them achieve more. The shortage of access to learning materials makes the teacher the most accessible source of information for most students. The more learning resources become more available in Rwanda, the less the students’ dependence on the teacher will become. High interaction in western societies was enabled by the ubiquity of internet connectivity and students’ access to learning resources. Without such access in Western schools, students’ interaction might still be there but it would hardly be that rich educational exchange we have in those schools. Unfortunately, this is the fact that many people tend to disregard if they ever think about it. The shortage of higher education teachers’ also leads to similar difficulties. Rwandan class might have up to 200 students as opposed to western ones that have one tenth of this size (20 students on average). Some western classes can even have as few as 10 students. O’Neil also did very well by including a quotation that highlights the lack of microphones and loud speakers which make very few students able to listen to the teacher. If we want to build the western class size in Rwanda, we will have to exclude thousands of students from the system, which would probably create more social problems. Inclusive education, in which the learning of the rich is shared with the poor, and that of the poor shared with the rich should be promoted. Maybe, if the western class size was promoted in Rwanda, I would not be writing this blog entry, because I would probably been excluded. Despite the desperate undergraduate education conditions, many Rwandan students adjust to the western education rhythm when they are offered the opportunity to take their post graduate education there. Unfortunately, the higher education enrolment in Rwanda is still very low. O’Neil claims it to be 6.6 in 2011(we would have appreciated it if s/he had provide a link to this source of this information). Concluding my comment on this post, I would like to commend the job that is being done by Kepler and Generation Rwanda. Their practices are certainly contributing to a better understanding of MOOCs and how they can be used in developing countries. I would encourage more practices, including those conceived from the developing country’s perspective. Maybe, people can innovate new models to include the 2,646 who were not admitted in the Kepler and Generation Rwanda MOOC initiative. The approval from the Ministry of Education and Higher Education Council is also a good indicator of Rwandan higher education decision makers’ commitment to improve access to and quality of higher education. I am curious to see the link between my current research findings and what Kepler and Generation Rwanda will find out. I will write another blog entry on the common mistake on the current MOOC literature, as a note of caution to the researchers involved in the Kepler and Generation Rwanda’s initiative. I am willing to share two papers I have so far written on MOOCs as well as the results of my pilot study with these researchers, the Ministry of Education, Rwanda Education Board, Higher Education Council and academics in Rwandan higher education institutions who are interested in reading about MOOCs. We received a request from the European Commission to list our university’s Open Educational Resources (OER) in a new collection of OER from across Europe, to be called Open Education Europa and scheduled to launch this autumn. 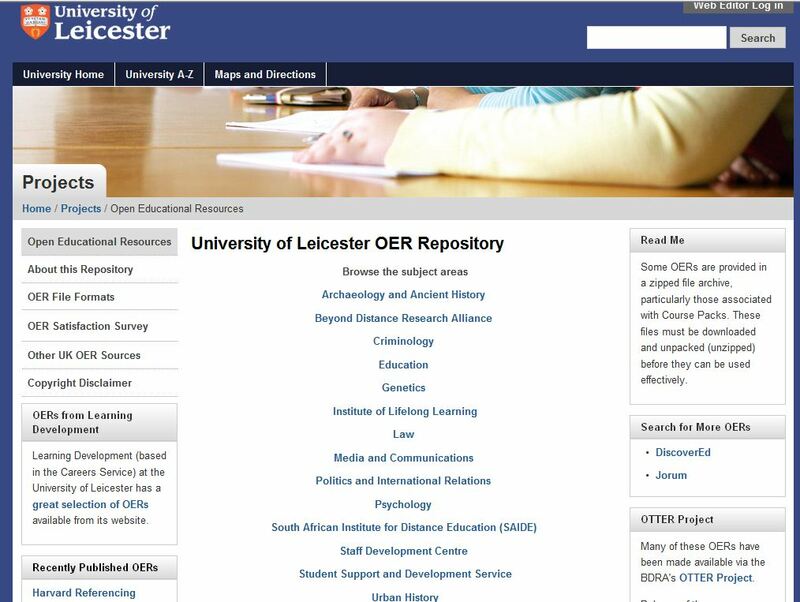 The University of Leicester has actually released quite a bit of OER, from a combination of projects and personal endeavour. Perhaps we would benefit from having all of these listed in a single portal. On the other hand, our ‘official’ OER are all available in the UK’s premiere OER site, Jorum. 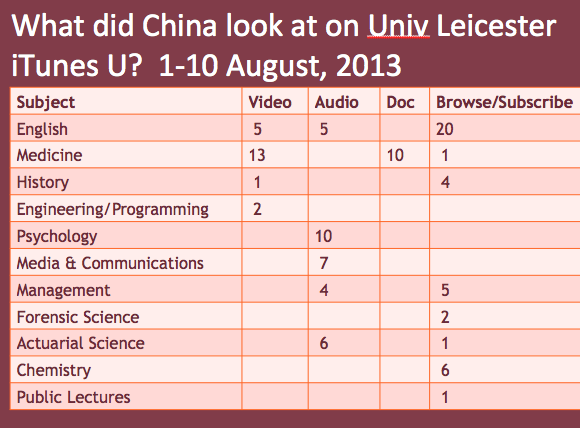 Here are the ‘University of Leicester sets of OER’ which I know about. Am I missing anything? Leave a comment! 2) http://www.le.ac.uk/manufacturingpasts – Products of a JISC- funded project to digitise and make available as OER artefacts pertaining to British industrial history. 3) http://myleicestershire.org.uk –Our library launched this online database of materials having to do with Leicestershire history. Most of these materials are open-copyright. 5) http://www.northampton.ac.uk/staff/enhancing-the-student-learning-experience/pedagogic-research-and-scholarship/externally-funded-projects/tiger/tiger-open-educational-resources-oer — Product of a funded project to create interdisciplinary OER in the health sciences. We were a partner along with University of Northampton and DeMontfort University. 6) http://www.microbiologybytes.com/blog/sitemap/ – Not official university OER, but Alan Cann’s collection of (mostly) openly-licensed microbiology material. For some years now, I have noticed that medical educators are looking at learning innovations in their own unique way. I first became aware of medical education happening in virtual worlds and simulations, such as Coventry’s virtual maternity ward in Second Life, and St George’s paramedic training in Second Life. Our own University of Leicester brought medical students into a virtual Genetics lab as a way of offering additional training in Genetics testing. Dr Rakesh Patel and his team developed a Virtual Ward (still going on today), in which students may visit virtual patients and practice coming up with a diagnosis. When I tweeted about these kinds of initiatives, I would receive replies using the hashtag #meded or #vitualpatient. But last year I began to see a new one on Twitter: #FOAMed — Free Open Access Medical Education — or just #FOAM — Free Open Access Meducation. I began to follow people like Anne Marie Cunningham (@amcunningham) , Natalie Lafferty (@nlafferty), and Damian Roland (@Damian_Roland), among others who, as medics and medical educators, see the value of using social media in medical education, or the value of blogs, or the value of a crowd-sourced site of medical questions and answers such as gmep.org. Meanwhile, Rakesh was coming up with ideas thick and fast: why not tweet and record the Nephrology conference SpR Club this past April, and the TASME Meeting at DeMontfort University this past May? And so I did! 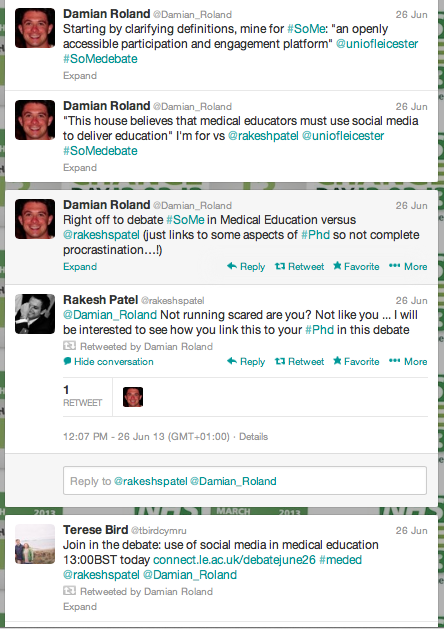 Then Rakesh and Damian got the bright idea to debate the motion: “This house believes that medical educators must use social media to deliver education.” The debate took place on 26 June at University of Leicester, and I was able to live-stream and record it, as well as join in the Twitter discussion. There were several remote participants including one from Canada, in addition to the approximately 20 attendees face-to-face at the Medical School. 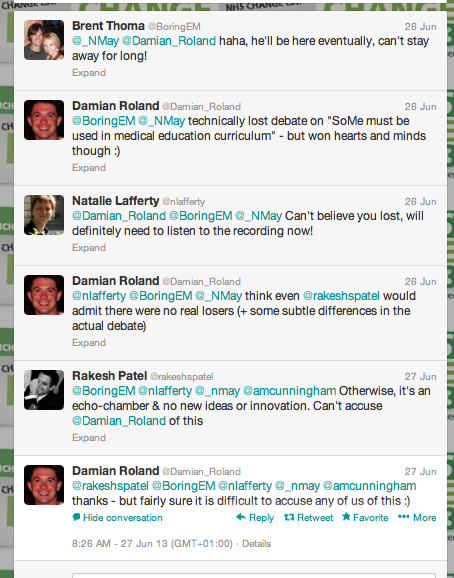 Not only did the debate spark real interest and a sense of challenge among those present (many of whom seemed to be new to the ideas of FOAMed and social media), the discussion continued on Twitter for a good couple of days, as the images below show. You can listen to and watch the video of the debate here. Now the ASME Annual Scientific Meeting is happening in Edinburgh, and Rakesh, Natalie, and others are presenting a workshop on FOAM. My name is on the presenter’s list as well, and although I could not attend, I shall be eagerly watching for tweets from the conference. I have come to see, especially through the eyes of my medic colleagues, that Free Open Access Meducation is a better education than closed— better because more information is accessed the wider one’s network is, better because more learners are reached via open platforms than closed, better because open encourages interdisciplinary sharing and learning… the list of benefits goes on.